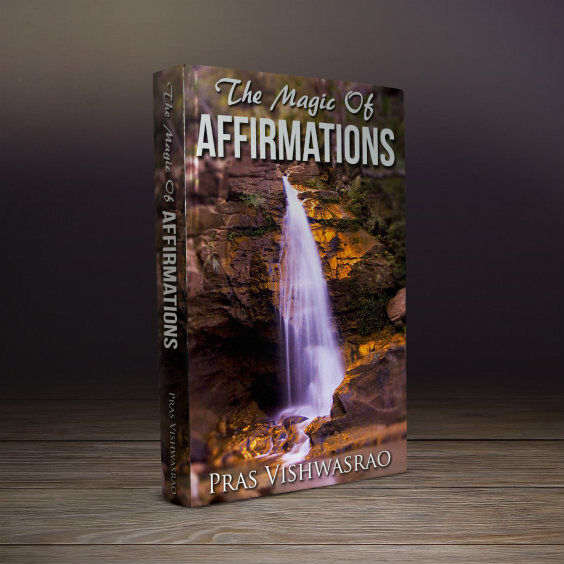 21 Positive Affirmations For A Better Life. Welcome to Positive Affirmations. We have seen that affirmations have to be positive. Our subconscious mind, which has no sense of reason or humor, is like a one way street where only one direction is possible. It is positive minded, hence only positive statements seem to work. If a negative word is used in affirmations, it does not seem to have any effect. It is as if the subconscious mind cannot "see" the negative word. Thus, if the affirmation is "I am not poor", it is registered as "I am poor". Actually, what happens is that in the statement "I am not poor" the focus is on the term "poor". Whatever we focus on, grows. Hence, "I am not poor" registers as "poor" and the subconscious mind does everything in its capacity to remain poor or attract poverty. Therefore, it is better to say positive affirmations. "I am not poor" should be changed to "I am rich". The wording of the affirmations should also be done carefully. If you are tired of the house in which you are living, then saying I hate this house may not get you a new house. Even if you do manage to get a new house, very soon you will start hating the new house too because that's what you have been affirming! If you want a new house, one of the positive affirmations will be I am now living in a beautiful, large, luxurious house which satisfies all my needs. Affirmations are nothing but self talk. It's better not to talk about the negatives in our life. Talking will simply anchor them deeper. The same goes for the blame game that most of us like to play. We ourselves are responsible for all the wrong things in our life. As long as we refuse to accept responsibility for the same, we cannot change. Positive affirmations is the way to change our thinking. Make a conscious effort and reword your affirmations. Some examples are given below. 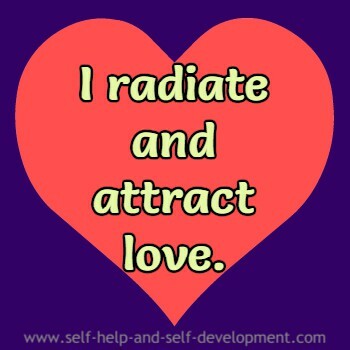 Use them and change your negative affirmations into positive. ﻿I love and respect myself as I am. I am rich and I always attract money. The Universe provides me with enough money to satisfy all my needs. 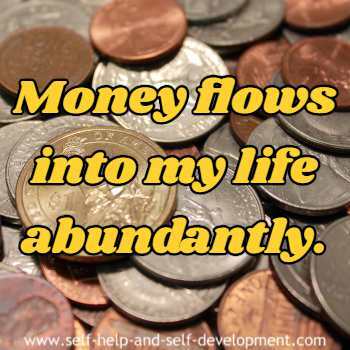 Money flows into my life abundantly. 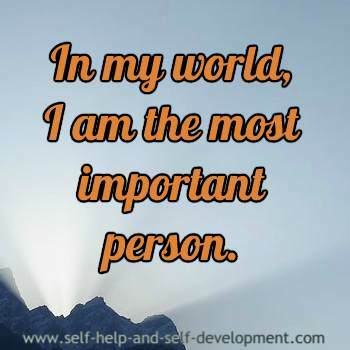 I am the most important person. 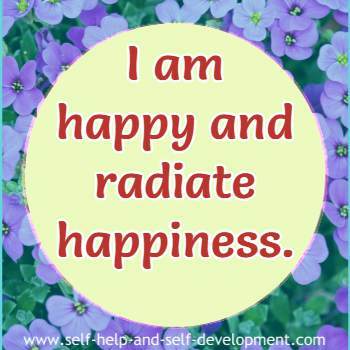 I am happy and radiate happiness. I radiate and attract love. I am health conscious and love exercising. I am energetic and love completing my work in time. 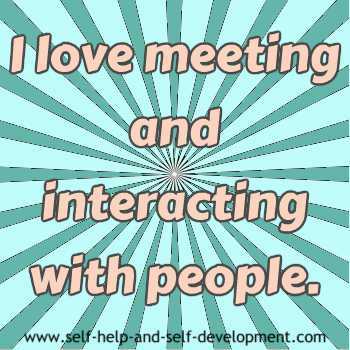 I love speaking and whenever there is a group, words come out of my mouth spontaneously. Life is full of fun and happiness and I enjoy it to the fullest. I love gathering knowledge and studying comes to me naturally. I am proactive and make friends easily. I am a trustworthy person and that trust is reflected in the people who come into my life. I am unique and as good as or better than the rest. I love my body, take good care of it and radiate beauty. I love my wonderful job which has immense opportunities for promotion and betterment. I study and comprehend fast and easily. Doing homework is fun and pleasure. I forgive XYZ from the bottom of my heart and pray for her/his betterment.